Are you looking to replace the carpeting in your home? 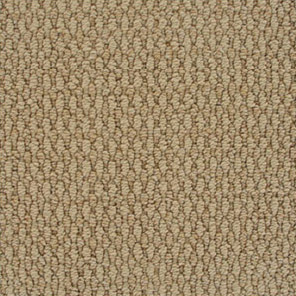 There are several types of carpeting out there and it is important for you to know exactly what you are purchasing. Make sure you are going to a reputable flooring dealership and work with someone who knows about the construction of the carpeting. Majority of us find ourselves on a budget when replacing this expensive item in our homes and there is definitely budget friendly carpeting. But what might surprise you is that it could cost you more in the end. A large cost of carpeting is the installation and if you cut costs on the carpet product, you may find yourself replacing it a lot sooner than you had thought. If you have any intention of keeping this carpeting more than several years, then stay away from olefin. Olefin (also known as polypropylene) does not have good retention when it comes to traffic pattern wear. In fact as you walk on it, the fibers actually “crush” beneath your feet. Can you imagine what this is going to look like in a couple years? Also when something heavy is dragged across it, the fibers can actually “melt” and result in a large mark across your floor. The benefits of olefin are that it resists fading from sunlight, chemicals, and generates low levels of static electricity. Since it is also resistance to moisture, this is most commonly found in indoor/outdoor carpeting. Nylon is the most common fiber used in carpeting. For your normal residential and commercial applications this is a great solution. It is known for great abrasion resistance, resiliency, and wears well with all types of traffic flow. The added benefits of nylon are that is can withstand heavy weight and movement of furniture and can be easily cleaned with a professional carpet cleaning solution. If you have extra money or would just like very good carpeting than wool is the right choice for you. Wool is natural which makes it durable, resilient and self-extinguishing when burned (wow!). It is known for its softness which will feel great when you walk across it in your bare feet! Since it is a higher cost, often it is found in smaller spaces or where there is a less traffic. With these three standard choices, one of them will be a great solution for you. Check out our unique rug solutions!